It’s hardly with any argument that Bishard Baker popularly known as Budda Baker is one of the most talented defensive backfields in the NFL. The American football safety for the Arizona Cardinals of the National Football League (NFL) had his collegiate career with the Huskies of the University of Washington where he was a hard-hitting safety after prepping at Bellevue High School. The Cardinals’ selected Baker in the second round to help them build a speedy, versatile defense despite his small frame. Here’s all you need to know about the small guy with exceptional speed. Bio – Who Is Budda Baker? The Cardinals safety was born Bishard Baker on January 10, 1996, in Bellevue, Washington where he also attended high school. His first name was replaced with Budda, a name his mother, Michelle Baker started calling him as a baby. Michelle, with whom Budda has always shared a special bond, believed he looked more like a Buddha doll and decided to give him an appropriate moniker – Budda. Budda grew up with five siblings, four sisters and an older brother, Robert who died on April 22, 2018, at 29 from gunshot wounds. His biological father wasn’t present during his early years, however, a stepdad was there to serve as a father figure. At Bellevue High School, he set a lofty athletic standard. Budda played as a safety, running back, and return specialist on a team that won three consecutive 3A state championships. He was also a speedster on the track while he dropped many jaws with his performance in long jump. For his attainments, Budda was named as the Seattle Times’ High School Athlete of the Year in his senior season. Among other honorable recognition, he was rated as a four-star recruit by various platforms. Additionally, he ranked among the top safeties in the 2014 class and was ultimately recruited by the University of Washington to play safety. In his freshman campaign, Budda Baker re-enacted his explosive career but this time on a higher pedestal. He became a starter and remained so throughout his three-year collegiate career. Budda recorded 80 tackles, one interception, and one sack after which he was named a Freshman All-American by USA Today at the end of his freshman season. Continuing on his impressive streak, he started all but one game due to a concussion and finished his sophomore year with 49 tackles and two interceptions, and was in turn, selected to All-Pac-12 as well as a pre-season All-American prior to the next season. Budda was a natural safety but coming into 2016, he moved closer to the line of scrimmage where he easily blitzed off the edge. After the season, he earned NCAA consensus All-American honor which was consequent upon being selected first and second team all-American by a number of publications. He also led the Huskies with 71 total tackles and 10 tackles for loss. Following his junior year, he decided to forgo his senior season to enter the 2017 NFL Draft. He was drafted 36th overall by the Cardinals true to the projections of numerous experts and analysts. Following his selection in April, the Huskies former star inked a four-year deal with the team worth $6.83 million. 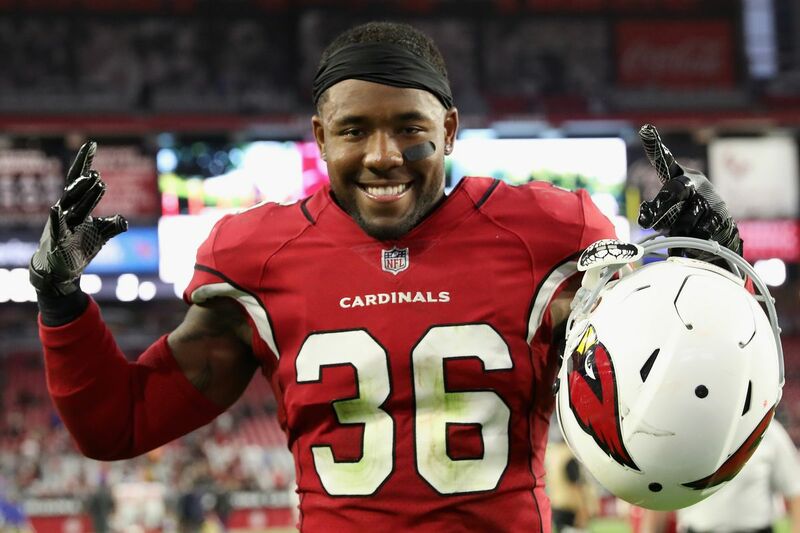 With the Cardinals, Budda Baker joined All-Pro Tyrann Mathieu in the defense. In recognition of his standout performance on the special team, he became one of the Cardinals quartet named to the 2018 Pro Bowl on December 19, 2017. The others are linebacker Chandler Jones, wide receiver Larry Fitzgerald, and cornerback Patrick Peterson. Size could downplay one’s athleticism in sport, particularly the gridiron. In fact, it has made many fine players doubt their ability to play in the league. Nevertheless, it has been proven over the years that the weaknesses attributed to having a small size in American football can be trumped with a strong resume that boasts of experience and athletic IQ. In a nutshell, size alone does not determine one’s athletic prowess and success just as talent alone doesn’t make a champion.